John and Isaac Miller invented the Baracuta G9 Jacket in 1937 to be a light weight, wind and water resistant jacket. The anatomy of the Baracuta G9 or the Harrington Jacket as it was latter dubbed was a waist length jacket with elastic cuffs at the waist and wrists, raglan sleeves, tartan lining, stand up collar and slant pockets fastened by buttons. It is available in many fabrics and colors. But today we are going to concentrate on the colors or rather one particular color i.e. Beige. 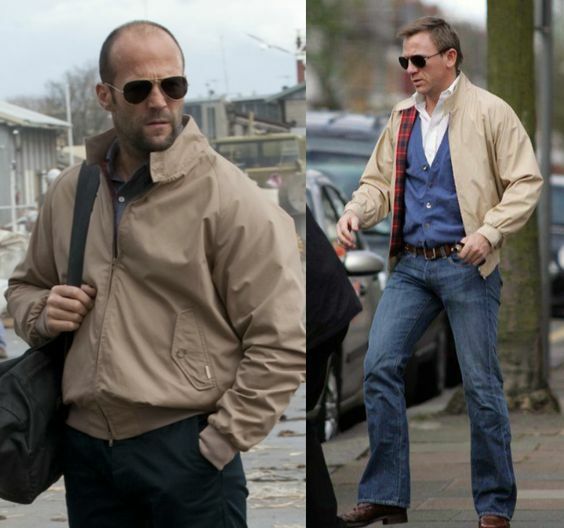 So why a Beige Harrington Jacket? Well for starters Beige is a very neutral color. It is also stylish and classy and has a preppy vibe to it. 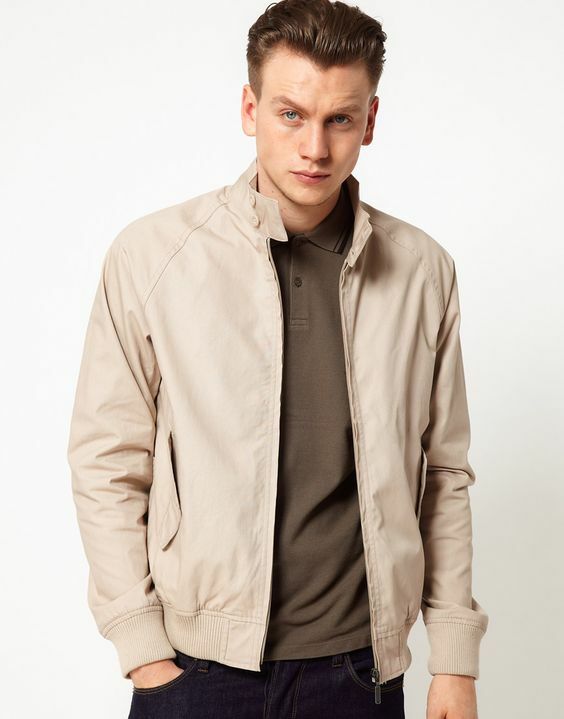 A Harrington Jacket in beige looks sporty but casual. 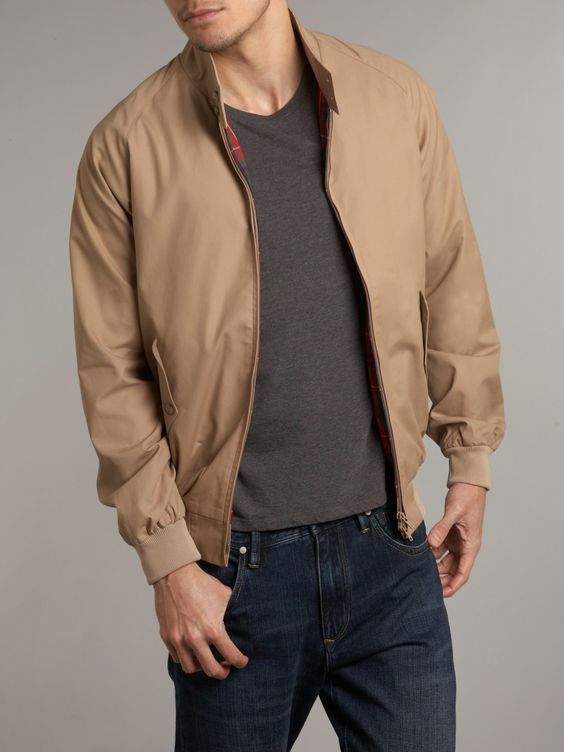 How to style a Beige Harrington Jacket? 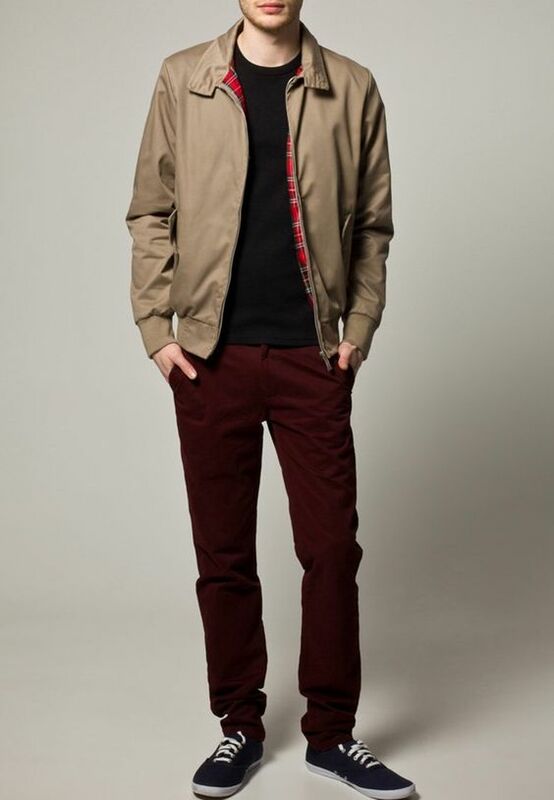 The Beige Harrington Jacket with button down shirt under a light sweater, dark denims and trainers for a preppy look. Leave the button down untucked. Style this jacket with a solid tee in black, white, burgundy, navy, rust, forest green or charcoal grey and black denims. 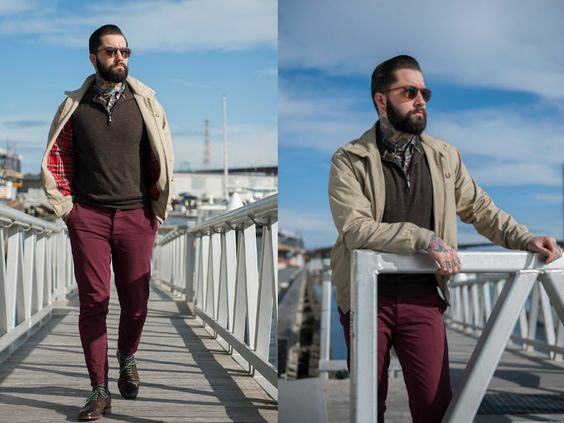 Have fun wearing the Beige Harrington Jacket! 15 Best Modish Widows Peak Hairstyles That Are High On Trend Right Now!